Russian carrier UTair Aviation has sold 100% of its subsidiary Katekavia, which operates on the charter market under the Azur Air brand. According to the airline’s 2014 financial report, the transaction took place in September 2015; the buyer remains unknown. The deal makes Katekavia’s legal name unusable. Turkish-based tour operator Anex Tour has been Katekavia’s main partner since 2010. UTair entrusted Katekavia with most of its charter business, along with all of its nine Boeing 757-200s, just before the Azur Air brand came into existence and was officially announced in November 2014. Azur Air’s fleet currently also includes five Boeing 767-300s, which were transferred from the parent company in August 2015. The charter carrier is expected to start operating Boeing 737-800s next year. According to UTair’s IFRS report, one of Katekavia’s 2014 contracts, with an unnamed customer, brought the company over 6 billion rubles ($92.6 million at the current exchange rate). 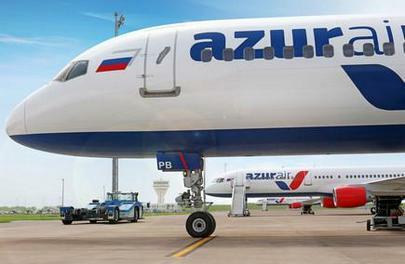 Russia’s Federal Air Transport Agency reports that in the first 10 months of 2015, Azur Air carried 2.1 million passengers, or 11.7 times more than for the same period last year. The airline now occupies 11th line in the ranking of Russian carriers by traffic, and tops the list by load factor, which now stands at 94%. In October 2015, UTair also announced selling its other subsidiary, the UTair-Ukraine airline. The latter was acquired by Anex Tour and will be renamed Azur Air Ukraine.